Take Your Leadership to the Next Level – What does it take to be a great leader? You know mentorship is a huge interest for me! Being a leader means inspiring others to listen to their own sense of wisdom. After all, we all think, have skills and experience. If you are or want to be a great leader you know it is critical you show others how to be the best they can be. Oh sure, you can tell them what to do. That will get you a few kudo’s and a whole lot of pain. The way to get your team on side with you is to mentor them – ask the right questions so they can see the answers for themselves. I know my process works, and I prove it by helping people learn an approach that allows leaders to develop their staff to be the best they can be. And where do you start? With yourself for sure! Imagine how great you’ll feel when you know you have guided others to reach their own ah ha’s! 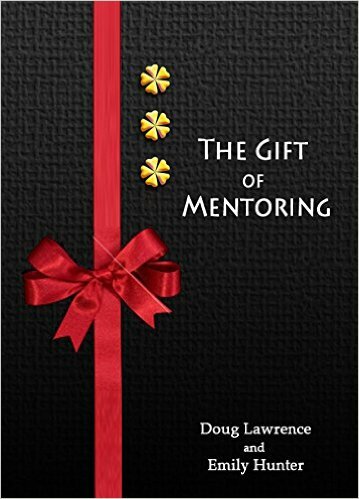 Mentoring takes effort, yet the reward is so satisfying. It is too easy to slide into the role of coach and that is exactly what you don’t want to do. You are a successful leader when you provide the support and structure your team needs to be the best. It can be scary – between 79% and 90% of mentor programs fail because of the lack of support and structure. Listen to the only world leader who provides International Certification for Mentoring (ICM). Get inspired! There is nothing you can do better than be an inspiration to your team. Nothing else matters – lead and your team will follow. Yet you must be the first. It’s virtually impossible to inspire others until you too are inspired. Think about those who influenced you the most. They were the people who asked you the questions that caused you to think and come up with your own, original answers. They were your mentors! Implement mentoring and you will have a team of innovative thinkers who always lead your organization to new heights. Mentoring is the future of having an engaged team – self-development leads to increased morale and productivity. The result; increased profits! The quicker you get on board, the quicker you’ll reach your goals. We help our clients increase engagement, empowerment and accountability. Email me and let’s talk about how you can show your people you care.